TBA trading gave rise to the dollar roll as a mechanism for dealers to "borrow" pass-throughs they had sold short. In fact, a dollar roll is a contract to buy an amount of TBA pass-throughs for a close delivery date and sell the same amount of the same pass-throughs back for a more distant delivery date. Similar to a Treasury repo trade, the difference in buy-sell prices (the drop) implies a cost-of-carry or financing rate, given a prepayment assumption. (This expected financing rate, then, is subject to prepayment risk.) In general, in quoting the implied financing rate, the market starts with the consensus (mean) of MBS dealer prepayment projections.22 A generic pass-through is "rolling special" when the implied financing rate is below one-month LIBOR or some other relevant financing rate. It is common for a range of 30-year pass-throughs to roll well. Less commonly, the roll may heat up in a few 15-year coupons. 21. Roughly 99.9% of TBA trading volume settles in the defined notification and delivery process. Communication and other technological advances today permit "TBA" trades to be settled for cash or any T + n delivery desired. However, these trades are rare. TBA trades also may have "stipulations," such as pools per million, WAM, or WALA range. Typically, a small markup is charged for "stips." Specified trades, in which the pool numbers are actually known, may trade for any delivery date as well. 22. Typically as quoted on Bloomberg. resort to dollar roll transactions to settle trades. Demand for the roll drives the implied financing rate down. From their side, investors may use the roll either as a source of financing for TBA trades (so another characteristic of TBA trading is that it can be self-financing), or they may roll securities, taking the financing rate as a "yield sweetener" on their pass-through portfolio. Many of these "sellers of the roll" invest the drop in higher-yielding money market and other short-term securities to further boost yields. (They may keep the roll on for months at a time.) For this reason, how well a pass-through is rolling is an important determinant of its relative value either within a "coupon stack" or across agency pass-throughs of the same term and coupon. Likewise, how well a coupon is rolling is an important determinant of demand for it. What is a mortgage tba roll? How are dollar rolls settled? Are dollar rolls TBA securities? What are mbs dollar roll transactions? WHY DO you roll tba mortgages? What is dollar roll transaction? What are tba stips pool per million? Why dollar rolls trade special? Who settles tba mortgage market? How does dollar roll mbs financing work? How does TBA market work? What is a dollar roll trade? How do tba mortgage securities roll work? How to calculate mbs dollar roll drop? How does leverage work in the tba market? Is cash exchanged in a TBA dollar roll? Are dollar rolls repo financing? How to process tba dollar rolls? How to calculate "tba dollar roll"? How to calculate carry on TBA? What are the risks of the dollar roll in real estate market? How do rolls work in tba market? Are dollar rolls senior securities? How a TBA trade works? What is the notional amount of a TBA/mortgage Dollar roll? What is a dollar roll for TBA securities? 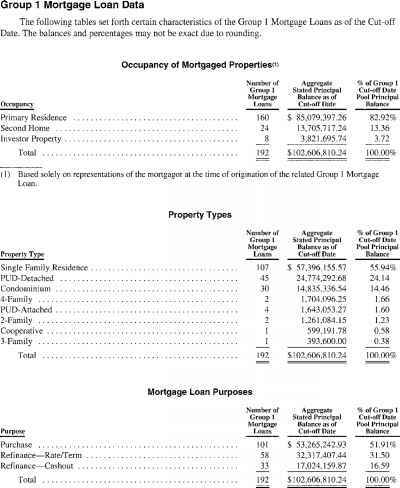 Do mortgage pass through rolls represent leverage? What is market drop on tba? What is "buy the mortgage roll"? How to calc tba carry? How do dollar rolls work? What is the drop and the implied financing rate in a dollar roll transaction? How to account for tba dollar roll income? 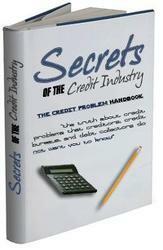 How to sell tba mortgage? How big is the Mortgage passthrugh roll market? What is a forward commitment dollar roll?